Lincoln County spans a total area of 10,633 square miles, with over 97% of the County’s total area managed by the federal government. Pioche is the county seat. The 2010 U.S. Census estimated Lincoln County’s population to be 5,345, with less than 1 person per square mile. Approximately 80% of the population was dispersed among its four most populous towns: Caliente (1,130), Alamo (1,080), Pioche (1,002), and Panaca (963). Historically, Lincoln County’s economy has been based on mining and agriculture. Many of Lincoln County’s small towns were founded following silver strikes, and the County was a large producer of lead and zinc during World War II. Today, occupations within the service industry and government employment are replacing agriculture and cattle ranching, railroad, and small-scale mining as the primary sources of household income (Nevada Rural Development Council, 2010). Currently, the government sector employs 41% of the labor force in the County, and the service industry employs 30%. Tourism is a primary form of income with Lincoln County’s many recreational opportunities, including several state parks, archaeological points of interest, as well as the Pahranagat National Wildlife Refuge which is located on the Pacific Flyway (top photo credit U.S. Fish and Wildlife Service). All of Lincoln County is supplied power by the Lincoln County Power District #1. However, the Alamo Power District, City of Caliente, Pioche Public Utilities, and Penoyer Valley Electric Cooperative buy wholesale power from Lincoln County Power District #1, and service their respective communities. Lincoln County is among the highest solar energy potential areas in the nation. The County has also attracted the interest of wind energy developers. The RDSBC Lincoln County, NV Renewable Energy Resources map (right) shows solar resources for Concentrating Solar Power (CPS) and tilted Photovoltaic (PV), favorability for Geothermal Potential, annual average Wind Resource at 50-meter height above ground surface, Great Basin Pinyon-Juniper Woodland as a Biomass energy source, and transmission lines and substations for capacities 230 kV or greater. CLICK here or on the map image to view or download the 34″ x 44″ PDF version of the map. Please note: the file is large and may take a while to display. Biomass: Lincoln County is actively seeking industrial users for 25 to 30 years of potential biomass resulting from BLM proposed landscape treatment projects to curtail Pinion Juniper encroachment into the sage brush steppe, particularly in the northern and eastern parts of the County. BLM’s Ely Resource Management Plan identified one million acres in Lincoln County that needed to be thinned of Pinion Juniper to not only restore habitat but also to reduce the threat of catastrophic wildfires. Geothermal: Geothermal resources have been identified near Caliente for more than 25 years. One well in particular has been characterized as having 185° Fahrenheit water near the surface. Down gradient testing is needed to determine the potential for utility scale development of the resource. The city of Caliente, served by its own utility’s electric distribution system, is interested in developing the resource for electrical energy generation or community space heating. Solar: Lincoln County is strategically located in the southwestern United States in the heart of active solar energy development within a multi-state region including Utah, Arizona, and California. One Solar Energy Zone (SEZ), Dry Lake Valley North is located in Lincoln County, as identified in the Final Solar Energy Development Programmatic Environmental Impact Statement (EIS). The closest population centers to the SEZ are Pioche, located about 15 miles to the east, and Caliente, which is located about 15 miles to the southeast. A 69-kV transmission line intersects the southeast corner of the SEZ. The SEZ consists of 25,069 acres of developable land. Bright Source leased 8,300 acres of privately owned land at Coyote Springs in southwestern Lincoln County. The site has access to a 69 kV transmission line and upgrades are planned to bring a 138 kV line to the site. The site is also proximal to NV Energy’s 500 kV On Line project which is currently under construction. Discussions with NV Energy may result in additional interconnection opportunities for at least two potential solar developers. Recurrent Energy explored a solar PV project on private land near the community of Rachel in western Lincoln County. Sithe Global proposed a 50 MW PV project on 1,000 acres of private land in southeastern Lincoln County within the 13,500 acre Lincoln County Land Act land sale area. The project proposes utilizing an existing 138 kV transmission line owned. A PDF version of a table summarizing Lincoln County Load Service Utility Information is for the load serving utility in Lincoln County: the Lincoln County Power District #1. Lincoln County has two assessed Brownfield properties on portions of a single parcel: the Pahranagat Higt School Multi-use Building and the Pahranagat Valley High School Auto Shop. The site consists of 7.5 acres in which the Pahranagat High School Multi-Use Building (Alamo Building) resides. 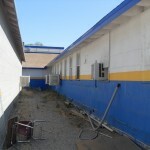 The parcel and building are owned by the Lincoln County School District and are located in Alamo, Nevada. The Multi-Use Building was originally used as a military barracks at Nellis Air Force Base in Las Vegas, Nevada. The building was acquired through donation by the United States Air Force and transported from Nellis Air Force Base to its existing location during the 1963-1964 school years. 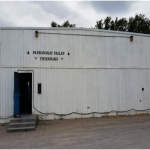 The Multi-Use Building is currently in use by the maintenance department and for storage of physical education equipment. The building likely contains lead based paint, asbestos, and unhealthy levels of mold. 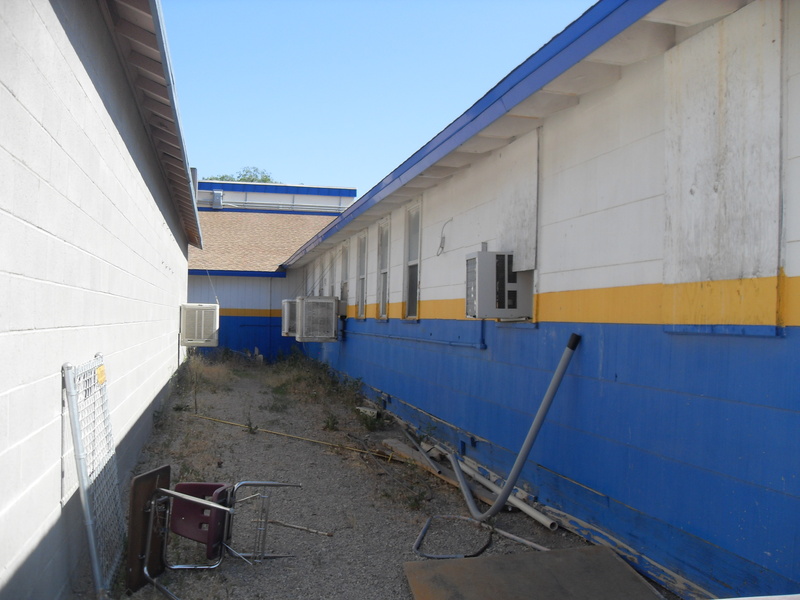 Pahranagat High School intends to continue using the Multi-Use Building while ensuring the safety and health of its students. Pahranagat Valley High School Auto Shop in Alamo, Lincoln County, Nevada. The property is located south of Weeping Willow Street and east of South Main Street. 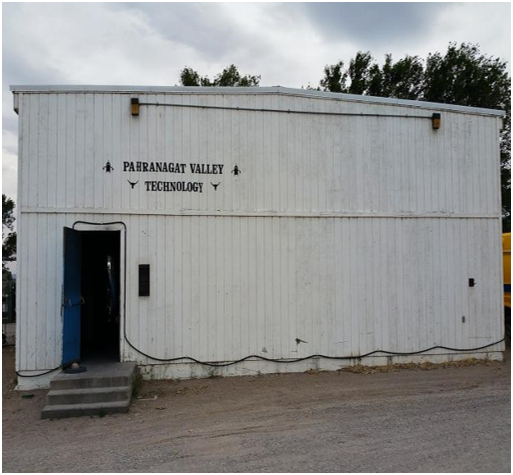 The Pahranagat Valley High School Auto Shop was used as an auto/ wood/ technology classroom and workshop for the high school. It was constructed between 1975 and 1976. A Phase I Environmental Site Assessment (ESA) was completed in June 2016. A Sampling and Analysis Plan was completed in September 2016 for Phase II ESA activities to be conducted. The Phase II was conducted in February 2017, which reported hazardous fire debris, asbestos containing materials, and petroleum hydrocarbon impacted soil. Environmental reports are available upon request.